Automating revenue and access control is the top priority for parking garages in our growing metropolitan area. Parking control means implementing solutions that will be simple as possible for customers while also managing the complex business scenarios of a parking lot or parking garage. We are experts in providing the best mix of equipment, technology, installations and training to make that happen. Customers today demand a seamless and easy parking experience. They're looking to get in and get out without confusion, and speed is everything, especially in the Baltimore, DC, Virginia area. When you partner with us, you're partnering with the latest in technology to help with you consumer experience. Our entry/exit stations are compatible with the latest smart phone apps to make parking a breeze. The interfaces are minimalist and specifically designed to be as ergonomic as possible to take the guess work out of customer transactions and keep the flow of cars efficiently moving through your space. The parking systems are streamlined on the outside without sacrificing features on the inside. Every back-office operation is different, and our systems are completely modular and upgradable for even the most complex business rules. Get a consultation today to see how we can help automate your parking garage or parking lot. Access control technology is specially designed to be a security system. Even in unattended facilities, the system can control who gets in and out. 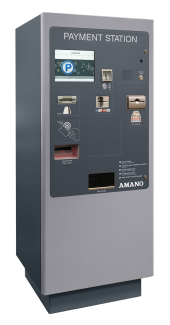 Card and proximity readers used with Amano McGann software control dates, times, and more, allowing or denying access to your facility. Use any combination of parameters to restrict and regulate access. Revenue control works as a part of the parking system to keep up with the flow of money in parking management. The proper computer and software will calculate fees and keep track of parking revenue acquired by cashiers at the entrance/exit. Maximize profits and efficiency, even employ promotional discounts to increase parking flow. Gates are the first parking control method used at the entrance of a parking facility. 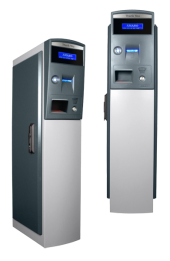 Gates can be automated, by entry/exit stations and access control technology or controlled manually by a parking booth attendant. Parking booths are sturdy and can be used in any location, not just parking facilities. These compact booths can house computers and attendants for easy facility management and security. Amano McGann specially designs their in-house software for parking management systems. Easily personalize the database with in depth features and control both facility access and revenue. Exit stations are an important part of revenue control, as they charge and collect payments. Working with an entry station ticket, the exit station will scan the code and determine the fee. OPUS now offers a wider variety of scanners and payment options including parking apps (barcodes, QR codes). Entry stations (or ticket spitters) dispense coded tickets. These ticket are usually stamped with a time code and used to determine exit station fees by the revenue control system. At unattended facilities, the entry station will be placed before the parking gate for automated entrance.